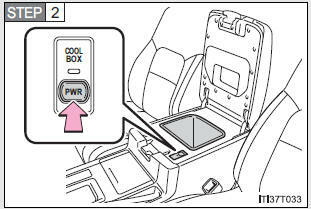 While the engine is running, the cool box, which is cooled by the air conditioning, can be used. When on, the indicator light comes on. If the front air conditioning system is not in use, the front air conditioning system is automatically turned on when the cool box is turned on. 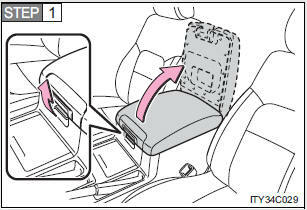 The front air conditioning system cannot be turned off. The cool box may not operate. Keep the cool box closed. Do not leave the cool box on longer than necessary when the engine is stopped.